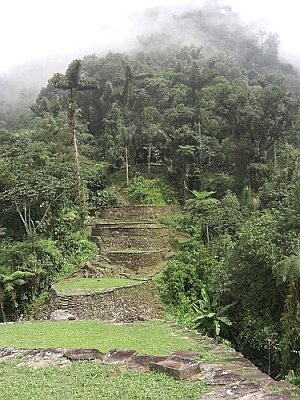 The Lost City Of Colombia? Discovered only a few decades ago, La Ciudad Perdida, Colombia’s Lost City is accessible to those willing to endure a days-long trek, a couple of treacherous river crossings, and oh yeah, the possibility of contracting one of several tropical mosquito-borne diseases. But that’s half the fun isn’t it? Here’s a great account of one such journey, detailing the highs and lows of a trip to this truly unique destination. Not reccomended for those wusses who though Macchu Picchu was a difficult trip.